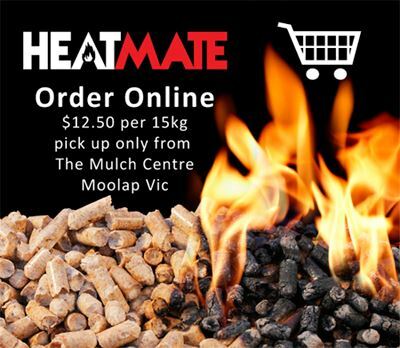 Pellets offer an environmentally friendly alternative to heating with all the benefits of wood heating without the hassle and mess of cutting, carting and storing wood. Pellet heating is a cost effective alternative to gas, electricity and firewood with minimal CO2 emissions and a high calorific burn. Pellet stoves are the cleanest solid fuel, residential heating appliance. Pellet stoves that are certified by the EPA are likely to be in the 70% to 83% efficiency range. Providing New Carbon Neutral Energy Solutions. Australian New Energy Ltd is now producing high quality pellets derived from wood waste sources. The pellets are a blend of softwoods & hardwoods. ANE is the only pellet plant in Australia using wood waste that would be destined to landfill. A genuine alternative to gas & electricity! ANE is helping to develop markets within Victoria and beyond to provide sustainable , quality wood waste pellets that have a high calorific value and meet all International Emission & Residue Standards. The pellets will be availabe to fuel boilers to produce energy and run turbines to power large industrial sites such as hospitals and other high energy industry users. Importantly the market for pellet heaters in local communities will be met – saving money every year as gas & electricity prices continue to skyrocket.